The 2017 CEPAMS Annual Symposium and the 9th Board Meeting for CEPAMS, as well as the 1st Meeting of the CEPAMS Scientific Advisory Committee were held in Norwich, UK, during Mar 26-29, 2017. This annual meeting is the third joint symposium since CEPAMS established formally in 2014. 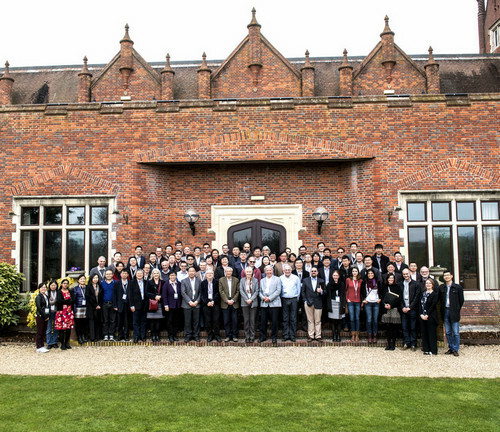 About 90 scientists from Chinese Academy of Sciences and John Innes Centre, as well as some invited scientists from other institutions, attended the symposium. The topics covered genomic platforms for crop species, natural products, plant nutrition, plant growth and development, and stress responses. During the past two years, CEPAMS has made significant progress against its mission to nurture excellent science through China-UK bilateral collaboration. Twenty-two joint research projects have been launched between the CEPAMS scientists and the results of these projects were showcased during the annual symposium.